Click here to DONATE to support the care of Laranquiada! 5 Year Old Bay Thoroughbred Mare. 15.3 Hands. Laranquiada is a very intelligent and sweet mare. She is has striking features and markings and will be a knockout no matter what discipline she goes in. Sound and beautiful. 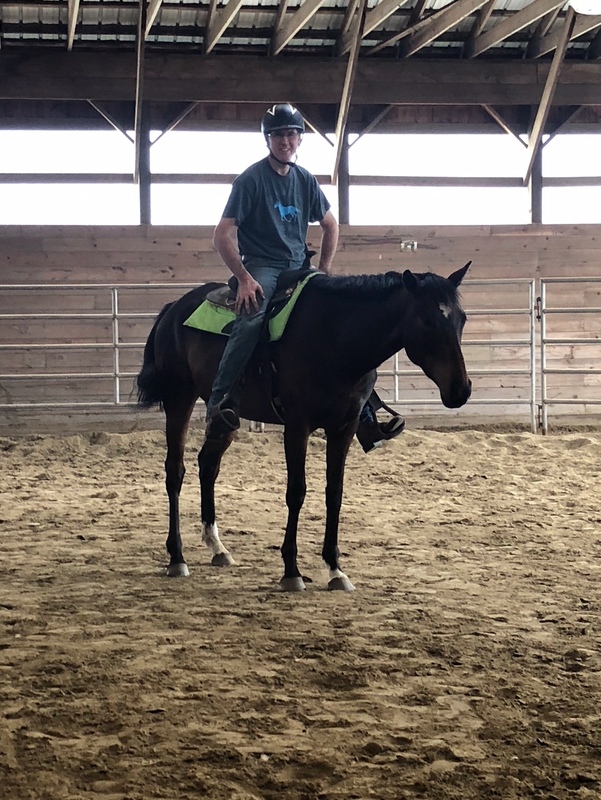 She is doing well being ridden under saddle and is willing to learn. She is RRP eligible. Current Coggins, UTD Vaccinations, Teeth Floated. On a scale of 1 to 5 with 1 being Calm and 5 being Spirited, Laranquiada is a 3.00. Laranquiada is a nice mare to be around. The best riding discipline is still being determined but we feel she may eventually be suited for either dressage, show hunter or trail. Laranquiada is located at Breezy Hill Stables, 15117 Mud College Road, Thurmont, MD 21788.